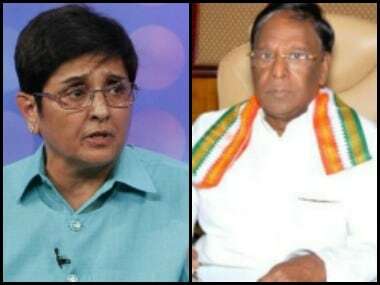 Puducherry: Chief Minister V Narayanasamy accused Lieutenant Governor Kiran Bedi of putting several obstacles in the implementation of vital schemes aimed at promoting the well-being of people in the Union Territory. Bedi had said instead of supplying rice to card-holders, the government could credit the cash equivalent under direct benefit transfer scheme to the bank accounts of beneficiaries, he told reporters. "When people themselves told the her during a visit to a neighbouring village (Krimambakkam) recently that the government should supply rice only and made it clear that they were not prepared to accept cash payment through banks, how can she take a different stand?" he asked. He alleged that Bedi was "bringing a bad name to the elected government by delaying implementation of the scheme and putting obstacles in implementing the rice scheme". 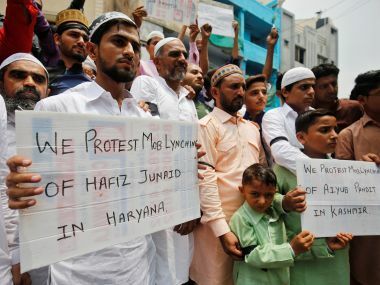 "The decision to supply rice was taken by the elected government in keeping with the promises given to the people and none can obstruct implementation of the scheme," he said. There was sufficient availability of funds for the scheme, he added. Narayanasamy, who has been at loggerheads with the Bedi on various issues, said Bedi should extend cooperation to the government in implementing the free rice scheme in letter and spirit. 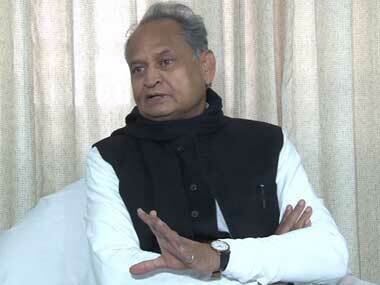 He said all the present difficulties the government is facing would come to an end in the next six months, and "till then, we have to remain calm". Asked what he meant by that, he refused to elaborate. Narayanasamy has been at loggerheads with the Bedi on a host of issues. Bedi, who assumed office in May 2016, has been asserting that being the administrator of the Union Territory, she had the powers over administrative matters. Narayanasamy has also charged Prime Minister Narendra Modi with "deliberately delaying implementation of the Supreme Court order directing the Centre to form a Cauvery Management Board and the Cauvery Regulatory Committee. He announced that the ruling Congress, its alliance partner DMK, and other parties including VCK, Left parties and the New Justice Party would stage a human chain agitation on Monday to condemn the Centre for "failing to form the CMB". Narayanasamy expressed concern over the crimes occurring in Puducherry including preparation of fake ATM cards by a gang allegedly having international links to siphon off money from bank accounts.